Amando de Ossario is deservedly remembered for the series of Blind Dead movies, which pitted the desiccated corpses of Knights Templar against various towns (and one boat) in Spain. The first few movies are chilling and original takes on the freshly-minted risen dead genre, and the simple effects play very well. So instead I wanted to take a look at his swan song, The Sea Serpent . He’d live roughly another two decades after this film but never direct again. 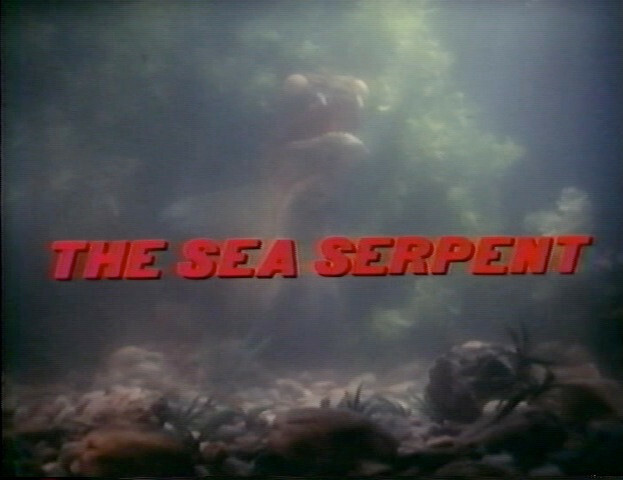 The story of The Sea Serpent is heavily cribbed from other monster movies. 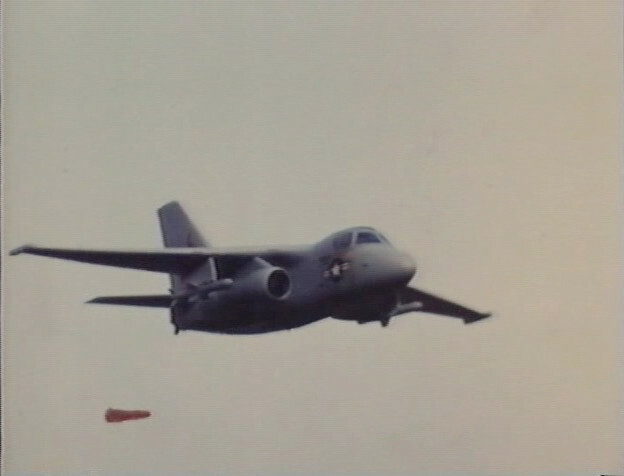 The primary source is Godzilla , with a giant monster coming out of the sea after an underwater nuclear explosion — the result of a truly contrived accident during a USAF bomber flight. The nuke didn’t break the sea serpent loose or make it angry or anything so interesting. Rather the bomb killed its food supply, forcing the deep-sea creature to forage along the coast of the Iberian Peninsula. Yet, as in many a monster movie, the focus is on terrible human characters. Dropping nukes before the title and credits. Pedro (Timothy Bottoms) is a washed-up fishing captain, who sank his last boat in a run-in with the sea serpent. Margaret (Taryn Power) is a wealthy American who watched her drunken friend get eaten by the monster. Together they consume a lot of the running time with commiseration over not being believed. The audience is even treated to Pedro’s maritime trial that strips him of the right to command ships. 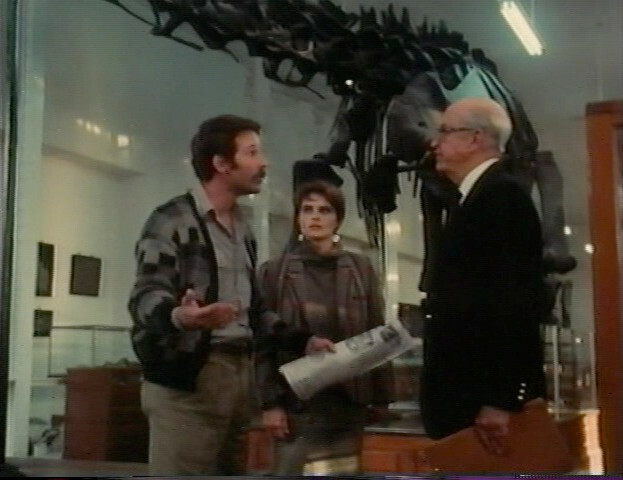 It’s only by eventually bringing in zoologist Dr. Wallace (Ray Milland) that the plot starts to move forward. Wallace knows of more incidents, tracks the serpent’s movements, and even comes up with the strategy to make the monster go away. Not kill it, mind you. It is after all a unique specimen. Pedro finds Margaret in a psychiatric hospital. The sea serpent is most often portrayed by a hand puppet. It’s not a bad puppet, exactly. A little on the goofy side, but it compares favorably to other low-budget effects of the time. The effect fares best when it’s used with models. Its attack on a lighthouse is even fairly well done, if utterly motiveless. The biggest problem with it is the poor integration of the monster with the actors. There are far too many attempts to show people being attacked using the same unconvincing and unengaging framing — the serpent on the right side of the screen and the people on the other, with everything else as black as possible to make it easier to stitch the halves together. It’s embarrassing to even look at. 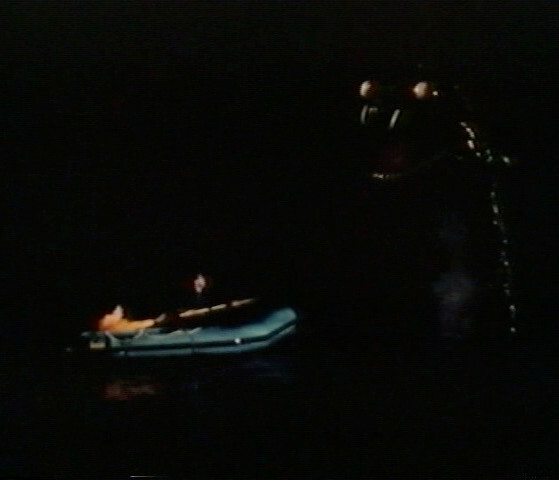 The sea serpent attacks Pedro’s crew after sinking the fishing boat. The other terrible thing about the sea serpent is the music. Manel Santisteban (credited as Robin Davis) decided that when the serpent is gliding along just under the surface, its crest sticking out of the water like a mutant fin — he decided under those circumstances that the only thing to do was to blatantly rip off John Williams’ unforgettable theme from Jaws . As I just mentioned in the review for The Giant Spider Invasion , you really shouldn’t remind viewers that they could be watching a good movie. Come to think of it, that was also in reaction to a Jaws reference. At least by 1984, the killer shark franchise had started becoming a joke, but even the previous year’s Jaws 3D had been better made and more enjoyable than The Sea Serpent . 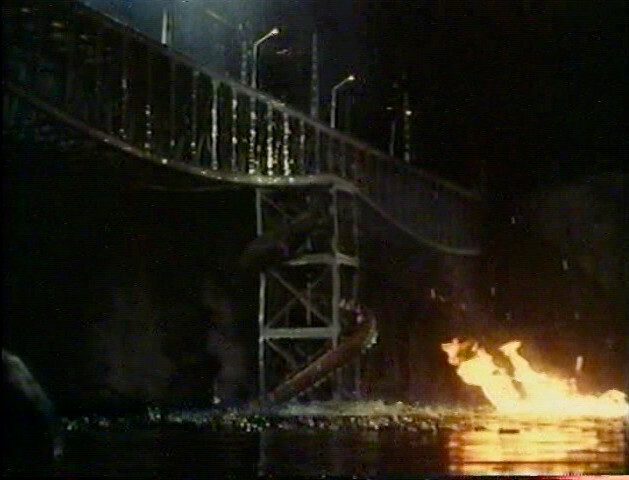 Miniature scenes, like the bridge attack, are where the serpent works best. Just as this tedious film put the directorial career of de Ossario to rest, it was also the last theatrical release for veteran actor Ray Milland. He also appeared in a TV movie later in the same year and a DTV film the next, before succumbing to lung cancer in 1986. He’s visibly ailing here, thin and short of breath. Nonetheless he soldiers through like the professional he is, delivering an enthusiastic performance as an elderly scholar starting a new life of monster hunting. He’s the only one in the cast who shows more life than the hand puppet. Even though it’s not a great role, it’s nice to see him break the curmudgeon persona he’d settled into to play a character who’s excited and engaged. Professor Wallace is enlisted into the pursuit of the creature. The Sea Serpent is not a movie anyone wanted on their CV. It’s dull and poorly made. Clips can show the majesty of the ravening sock puppet without the necessity of waiting through all the rubbish parts. For me it’s a sad capstone on the careers of two filmmakers whose work I admired. Fortunately, while this movie has largely (and justly) been forgotten, the superior works of Amando de Ossario and Ray Milland are still watched, enjoyed, and talked about. 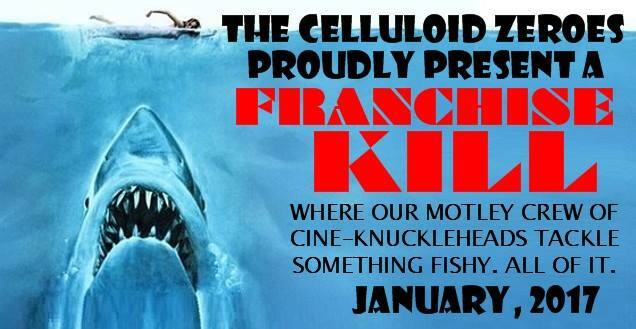 This review is part of The Celluloid Zeroes Franchise Kill roundtable on Jaws movies. It’s included as an example of the many ways that the franchise is ripped off in other movies. I notice Jared Martin listed in the cast here. Is the part of any significance? I have an odd affection for the guy despite having no interest in Dallas whatever. If my memory serves, this is right around the time he played the villain in a Knight Rider two-parter. He plays Linares, a fisherman who has it in for Pedro and winds up following him to Lisbon. It’s not a really major part, but he’s in a lot of both the beginning and end of the film.